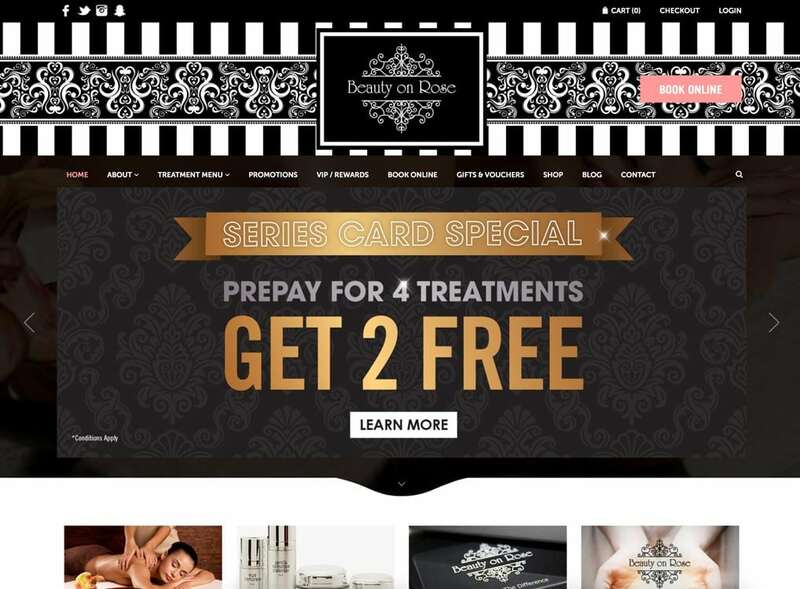 Beauty on Rose eCommerce website was designed by Perth web design company, Lethal Graphics! Contact us today to discuss your individual requirements Get a quote today. Located on Rose Street in the heart of Essendon, Victoria, Beauty on Rose is a contemporary, luxurious urban skin care retreat that specialises in the true art of beauty and wellness. Working closely with the team at Beauty on Rose, Lethal Graphics in Perth set up several strategy sessions over skype to really understand their business needs and clientele. 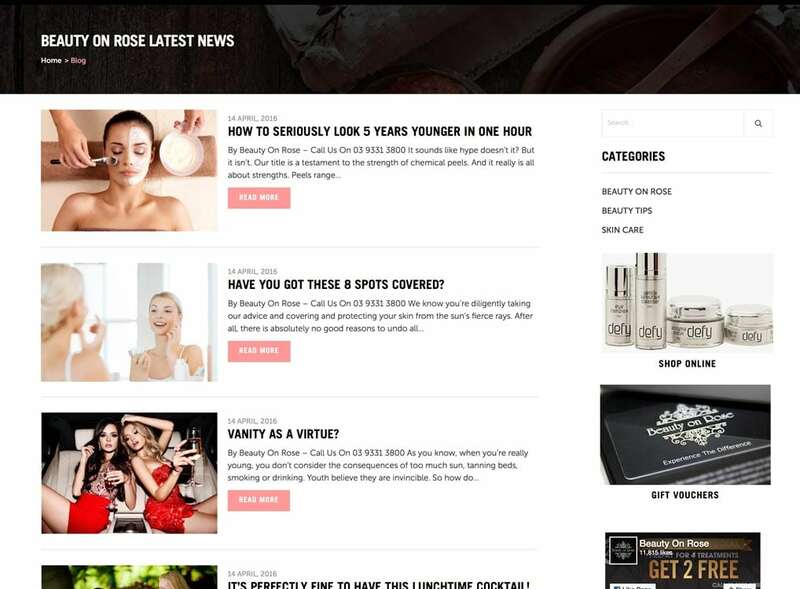 It was obvious from the start of this project that Beauty on Rose were quite well known and highly regarded as a premium skin care retreat in Victoria, so even though the initial enquiry was to rebuild a new web design, what Beauty on Rose really needed was an online business to run systematically along side their current business model and to keep driving sales. Lethal Graphics designed and developed a stylish, clean and user friendly eCommerce website that not only promotes their brand at a premium level, the eCommerce website is structured to drive sales and turn the daily browsers into online customers. Educating the audience that the staff at Beauty on Rose are extremely professional and qualified was also an important element within the new site build. Beauty on Rose has a strong and active emphasis on education and training, all of the therapists are qualified Advanced Beauty Therapists, who regularly attends postgraduate training and seminars fortnightly. Beauty on Rose skin care salon is a nurturing environment, where you can take a moment to relax and be yourself, whilst exploring state-of-the-art, cutting-edge technology and world class treatments. So we wanted to make sure that the same approach was taken on their new website, so there was a consistent branding both online and offline. 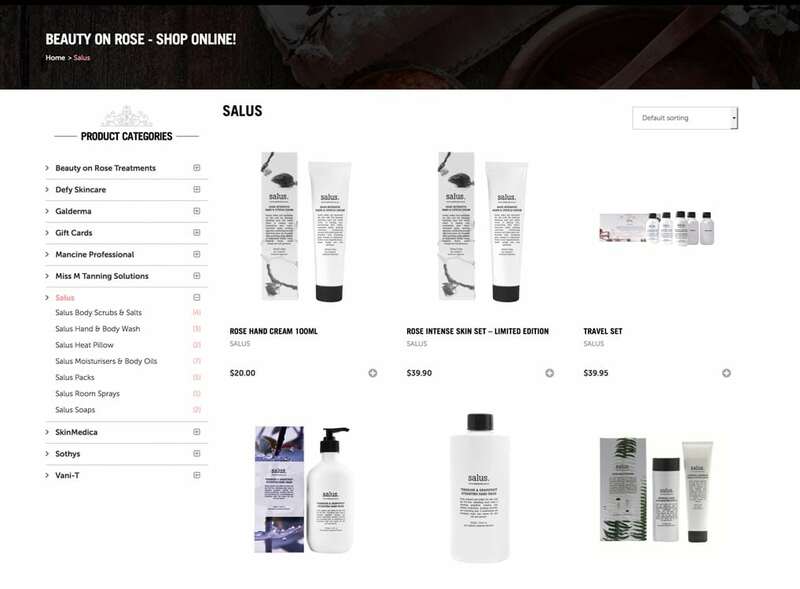 Since launching the new Beauty on Rose website, the organic traffic has increased immensely within the first month by integrating certain on-site SEO strategies, which has also seen an increase in online sales. If you would like to talk to us about dominating online, call us today on 0438 141 977.